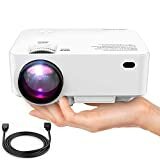 Wsky 2018 2500 Lumens LCD LED Portable Home Theater Projector is currently selling at $129.99, which is its normal price. It has a lowest price of $129.99 and is selling within its usual range. Price volatility is 0.15% (meaning it does not change often), so you might have to wait a while for the price to drop. Until then this is a recommended 'ok deal'. The current deal is also the best price on this item over the last month. 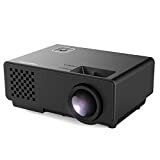 Compare the current price, savings (in dollars & percent) and Buy Ratings for the top Portable Projectors that are closely related to Wsky 2018 2500 Lumens LCD LED Portable Home Theater Projector. Here is how Wsky 2018 2500 Lumens LCD LED Portable Home Theater Projector compares with other leading Portable Projectors. 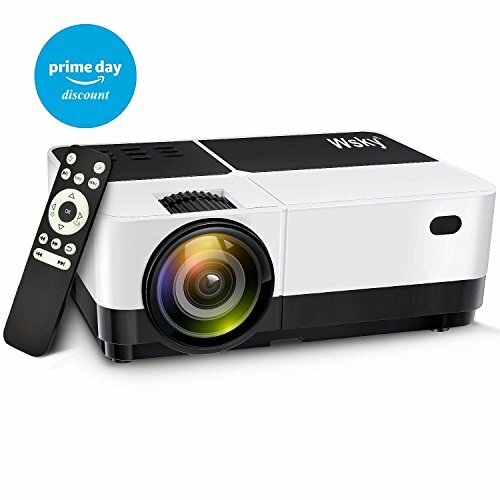 Enjoy the Vibe Create Your own Cinema Wsky 2018 Upgrade Projector, Projection Image Capability is up to 176 inches, 15% bigger than T21 model. The light is 60% brighter than regular model, up to 2500 Lumens. Dual Fan design, Cooling system is more efficient, which protects the light bulb and makes the lifespan longer, up to 40000 hours. Only single Speaker, but it's energy saving and more powerful than dual Speaker. Multiple Devices Support PC, Laptop, PS4, XBOX, TV BOX, USB Driver, HDMI device, VGA, SD etc. Enjoy gaming and TV shows through Big screen. Never worried about the subtitle too small. If you want to connect to iPhone or iPad, please purchase additional MHL cord. 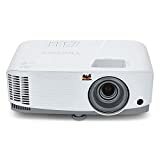 Specifications Supported resolution: 1920 X 1080 Screen: 30~176 inches Lamp life: 40000 hours TF Card: Maximum supported 32G HDMI: HDMI input Brightness: Up to 2500 lumens Package 1 x Wsky 2018 Upgraded Projector 1 x Remote Controller 1 x Power Adapter 1 x User Manual Features?THE WHOLE NEW MODEL: Wsky 2018 Upgrade Projector abandoned old model appearance, adopted newest design. The whole new looking is more fresh and simple than the old model. 60% clearer and brighter than regular projector, ideal for movie night backyard or home entertainment in dark. But NOT recommended for PPT, word, excel or business presentation. ?HIGH NATIVE RESOLUTION: Supported 1920 X 1080, High native resolution, Aspect Ratio: 4:3/16:9, Contrast Ratio: 2000:1, Lamp lifetime: 40000+ hours, longer than the old model. Enjoying movies, games and music video on 30~176 inches BIG screen! ?DUAL FAN DESIGN AND POWER SPEAKERS: Dual Fan design, Cooling system is more efficient, which protects the light bulb and makes the lifespan longer. Single Speaker, energy saving and more powerful than dual Speaker. ?MULTIPLE DEVICES SUPPORTED AND INPUT INTERFACES: Wsky 2018 Upgrade Projector enable to connect to PS4/Xbox One/Xbox 360/Wii-U/PC//Outer Speaker/U-disk/Hard disk via multiple input interfaces, such as HDMI input/VGA jack/Audio port/USB slot. Use MHL cord, you could also connect it to your iPad and iPhone.